Two great perks when staying at Disney's Grand Californian Hotel and Spa are the Private Entrance into Disney California Adventure Park and Extra Magic Hour, which allows you to enter one hour prior to normal park opening time. On our last visit to Disneyland and Disney California Adventure, we maximized these perks and made use of the private entrance and early entrance time. The first place we decided to head towards was Paradise Pier to ride Toy Story Midway Mania. As luck would have it, Jesse from Toy Story was walking up towards Midway Mania with a cast member and my daughter was asked if she wanted to be Sheriff of the Day. 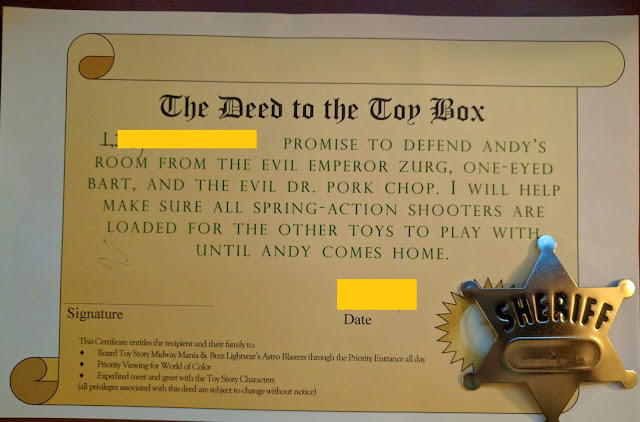 We weren't exactly sure what they meant by this, but my daughter was more than excited to say yes, take an oath to defend Andy's room from the Evil Emperor Zurg, One-Eyed Bart and the Evil Dr. Pork Chop, and then put on her sheriff's badge and sign her name to become the Sheriff of the Day at the Disneyland Resort. We took advantage of these perks and saved a ton of time by skipping lines for Toy Story Midway Mania (this was before they introduce fastpass at this ride) and when meeting Woody, Buzz Lightyear and Jesse. 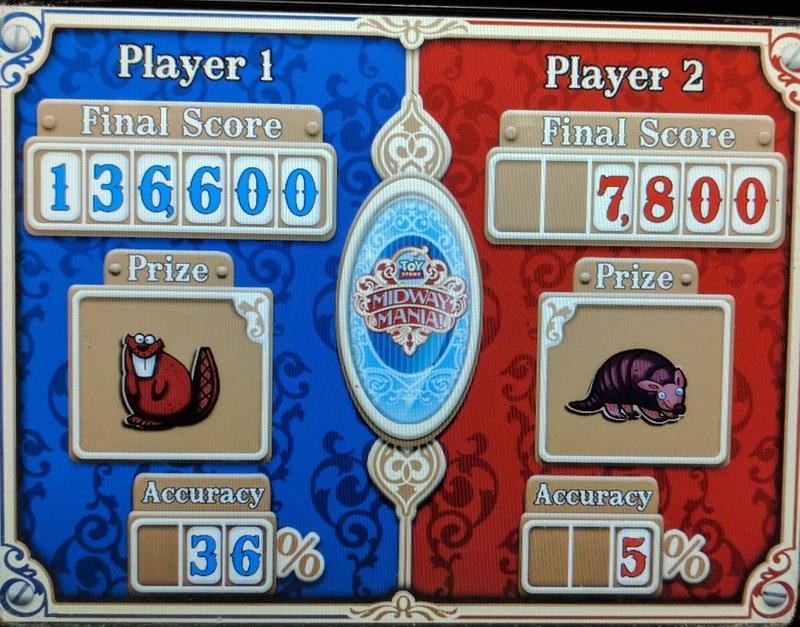 We were able to ride Toy Story Midway Mania five times in a row before my daughter grew tired of it. Also, the Cast Members throughout the park know all about the Sheriff of the Day and go out of their way to make the honorary sheriff feel extra special. The next time you go to Disney California Adventure, be sure to beat the crowds at opening and see if you can make it in time to Paradise Pier to become Sheriff of the Day at Disneyland!